We are so excited for the opportunity to reveal the cover, designed by Okay Creations, for Book 6 in The Keatyn Chronicles! Go ahead and add this next installment to your Goodreads TBR list. If you haven't already been sucked into this amazing and addictive series what are you waiting for??? Hey everyone!! 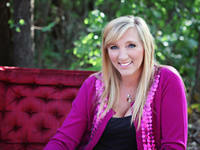 I'm Jillian Dodd, author of the That Boy series. That Boy and That Wedding. I'm working on a new series called The Keatyn Chronicles as well as plotting out That Baby. I love to read, love hanging out at goodreads, and love to talk to y'all!! I was lucky enough to find my own prince in college. We have two wonderful teenaged children, a Maltese named Sugar Bear and a new Lab puppy named Camber Lacey. I have an active blog, which my daughter, Kenzie, helps me with. We'd love to have you visit us there. I am a big believer in giving back, so I donate a portion of my book sales to charity! !